What are your hopes from PPC? If you are asked, what will be your recommendations/ Suggestions? How much increase do you wish in the salary package or wages? What steps government of Pakistan should take to eliminate the effect of current price hiking in Pakistan? Please write your suggestions and recommendation for Pay and Pension Commission of Pakistan. “Are all government employees equal in the eye of Government Authorities and Policy Makers?” is a question which is being asked by every government official. It is also being reported through some media personnel that PPC recommendations will not be implemented before Federal Budget 2010. Government has recently doubled the salaries of some departments while others are living hand to mouth. Some clerical and non-productive staff is getting high salaries and ranks. While ironically the productive and most important manpower of Pakistan is being neglected. I think that keeping in mind the current inflation, government of Pakistan should increase the salaries of Government Officials to 100%. Not only the government employees but a clear policy should be announced for the private employees and it should be implemented by force. Moreover besides increasing the salaries, government should also make a clear career policy for all staff and officers of all government employees. Benefits, allowances and facilities should also increase so that the brain drain from Pakistan may be stop. Write your view or comments about PPC in the given below comments box. Note: This blog has not any link or relationship to PPC. However we are only providing a platform to discuss this issue in detail. As far as my opinion is concerned I am not really hopeful about this package as I know that there is lots of corruption in Pakistan. I want to convey my concerns about the clerical staff that persons working on computer and having designation other than computer operator may also be considered to have an computer allowance. 30 stages should also be reduced and Selection grade and Move over be restored. Education increment may be allowed. First of all, Dr. Judges, Police, Teachers. Yeh woh loag he jin ki extra income fees ya rishwat ki mad me hoti ha, in logo ki salary band b kar di jaye to in logo k ghar baqi servants ki nisbat bohat achey tariqey se chal saktey he. Whole country me tamam servants ki salary scale wise equal honi chahiye. aur aaj kal ka daur me scale #1 ki kam se kam salary 15000 se start honi chahiye. aur pensioners ki kam se kam pension 10000 honi chahiye. agar kisi wazir ya mushir ki post new create karni ho to kisi committee ki zaroorat nahi hoti, bus 1 notification jari hota ha aur wazir ya mushir bharti ho jata ha aur us ki salary aur allowance man pasand muqarar kar diye jatey he, recently judges ki salaries me kis qadar izafa kiya gia ha, kisi committee ki koi recommendations nahi thi, budget ka b wait nahi kia gia, aur simple servants k liye budget ka wait kia jata ha, lambi chori committee banai jati ha jo pura saal free me salary laitey he, kabhi country k kisi city me meeting ki jati ha aur kabhi kisi city me, free me lambey chorey T.A/D.A claim kiye jatey he, kia is tarah se Khazana khali nahi hota. Khazana sirf simple servants ki salaries me increase karney se hota ha? government ne electricity, sui gas aur petrol me kis qadar izafa kar dia ha, in 3 chizo me izafa honey se zaroorat ki har cheez costly ho jati ha, is baat ka andaza kisi ko nahi ha> kam se kam maujoda hukmarano ko to is baat ka andaza nahi ho sakta because woh khood to sarkari khazaney ko khali kar rahey he. is government ka 1 aur dhong! yeh ha k be-nazir income support programe se be-nazir ko sawab ponchaya jaa raha ha, agar sawab hasil karney k liye aisi welfare karni ha to be-nazir, zardari, bilawal aur in ki property ko sale kar k yeh welfare karni chahiye thi. is baat per kisi ne kuch socha ha? 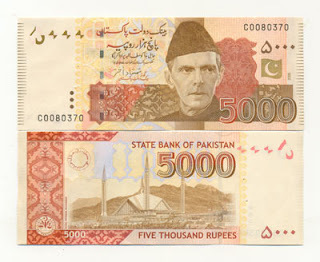 Awam ka paisa Awam ko dey kar ehsan kiya jaa raha ha aur isi mad me apney ghar poorey kiye jaa rahey he. we hope that this people's govt. will implement all the suggestions made by pay and pension committe as they have already doubled the pay of defence personals. Common civil servants are waiting since long past and keen to hear from peoples govt. In these days to fulfill the basic needs of a medium sized family,is a hectic job.To get admission in federal govt school is impossible without safari sh.our hiring facility does not meet the market rate.Even a BPS 17 grade officer has to live in a one bedroom house in the capital of Pakistan.we had to leave hometown for our job,but we are unable to see our single ailing parent.Because transportation is so expensive,as I mention that available accommodation with one bath and bed is so small to accommodate our ailing parent.so we request our GOVT to please solve our problems on human basis.Minimum salary should be 15000 at least. Pakistani nation is exhausted and cannot bear these hardships anymore. Its not posible in Pakistan Becase there are no men who imposed and give financial impect. The salaries of judges and police have been increadsed by the government despite the fact that judges and polioce did not demand it as they are not dependent on their salaries, thanks to the corruption. Why did the Punjab Government increased their salaries? Simply because they can be of great help when they will be faced with court cases launched against them by NAB for their corruption, once they are out of Government. The teachers and clerks are not being given a raise in their salaries despite the fact that they have been demanding it for years now. Why are they being ignored? Simply because, they cannot help the corrupt Muslim League (N)leaders in police station and the court. This country belongs to Army, Judicery and Politician. They are doing every thing for their self. Not for common man. They will increase all the benefits and allowances for theirself. Common man has no value no rights. The Salaries of Government employees are less the Labours, Measons and Carpenter when you look at them at market rate. The Clerks and Computer operator are so much effected especially. DR. ISHRAT HUSSAIN KO AAM ADMI KE MASAIL KA KIA PATA. I had no faith on the Government intention in the raise of salaries. There will be increase but not to the general expectation and uncomparable to the price hike. we hope that this people's govt. will implement all the suggestions made by pay and pension committe as they have already doubled the pay of defence arm forces personals. Common civil servants are waiting since long past and keen to hear from peoples defence civilians personnel. My question is for PPC. Why there is difference in Home Taken salaries of employees in same scale of various Govt. Departments? It is recommended that Home Taken Salaries of all Govt. Department should be same.